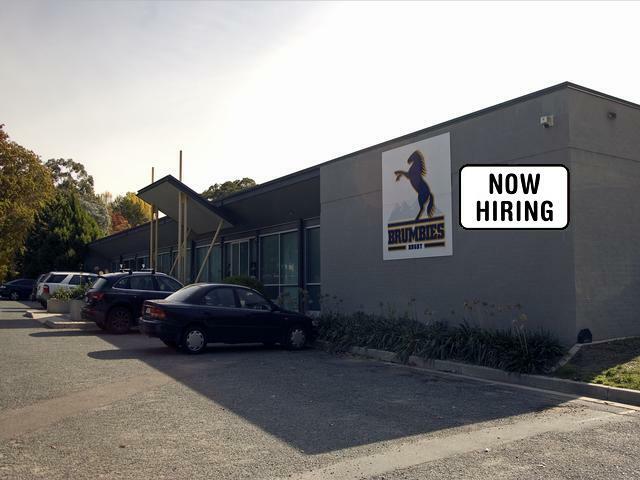 Who wants to be the next Brumbies coach? With the Brumbies on the lookout for a new head coach for 2012, it’s time to run the eye over the possible candidates for the so-called ‘poisoned chalice’ of rugby coaching positions. The decision to appoint the next head coach will need to made shortly as player retention and recruitment needs to be finalised. One good example: where Adam Ashley-Cooper ends up in 2012 is partially dependent on the coaching appointment. There has been much said in the local and national press about the quality of candidates to take on this high-pressure role. Whoever gets the nod for the top job will need to be a strong leader to get the Brumbies back on top of the heap. One thing is certain, though: the Brumbies want someone to get results quickly. Six seasons of mediocrity is not satisfactory for the fans who are close to rioting after previous incidents involving head coaches at Brumbyland. For this reason I strongly believe the Brumbies need to appoint someone with experience, and not have an apprentice learning on the job at the expense of the club. Canberra is a place where the masses will follow a winning team, and in a city where there are only two teams to follow in winter and one team isn’t doing so well, it makes for an easy decision on whom to support. So let’s have a look at the possible contestants….COME ON DOWN! Jake White — There are reports that Brumbies CEO Andrew Fagan has traveled to South Africa to meet with White this week. White’s record as a World Cup-winning coach speaks volumes and can’t be ignored. This would have him as one of the front runners for the position, and his association with former Brumbies coach Eddie Jones would give him a good insight into the wheelings and dealings of the Brumbies organisation. 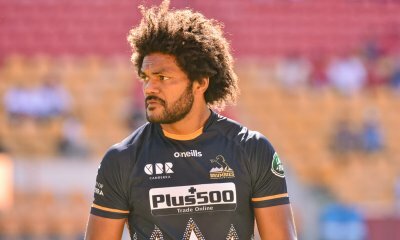 He won’t come cheap, but a man with his record and stature within the game could be exactly what the Brumbies need to get them back to the glory days of the early 2000s. Michael Cheika — A well-credentialed coach currently plying his trade in France with Stade Français. He has previously coached and played for the Randwick club in Sydney, which could get him over the line due to the connection to the Randwick players within the Brumbies squad. A rumoured fall-out with Waratahs management on past dealings may see him keen to get one up on those he feels dudded him. He might also be keen to link up with Rocky Elsom after their successful European Cup campaign of 2008/09 that saw Irish side Leinster claim the title. Todd Louden — Another journeyman who has been on the coaching merry-go-round with stops in Sydney, Pretoria, Tokyo… and is now back in Sydney coaching Sydney University. His work with the Bulls saw them take out their maiden Super 14 title in 2007 and wherever he has coached he has improved the team overall. His specialty is as a backs/attack coach and it will be interesting to see if he gets the job as Stephen Larkham, the rumoured heir apparent, currently fills that role. Michael Foley — Has extensive knowledge of the murky waters that are scrums and forwards play. Acquired this knowledge on the fields of the UK, followed by a stint as Wallabies set piece coach, and is currently with the Waratahs as forwards coach. Hasn’t really shown any desire to take on a head coaching role and seems comfortable as an assistant, but it’s believed he is being groomed as Chris Hickey’s successor. Nick Scrivener — Is currently in the same boat as Tony Rea, having taken over Scottish Magners League side Edinburgh after the head coach recently stepped down, and he juggles this role with the head coaching job for the Scotland A squad. 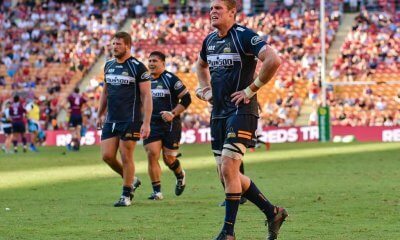 A former Brumbies assistant coach under Laurie Fisher, his inside knowledge of the organisation and a chance to move back home could work in his favour. Stephen Larkham — The man who could ghost through any defensive line is currently the attack coach for the Brumbies. Many believe he will eventually take over as head coach of the Brumbies one day, some even think as early as 2012, but inexperience could count against him at this stage. The big question is: can a great player become a great coach? Tony Rea — The current Brumbies head coach who is probably wondering what he’s got himself in for after a belting at the hand of the Crusaders last week. Has limited rugby union coaching experience after previously being the head coach of Harlequins Rugby League in the UK. Is currently assessing his options about whether to put his hat in the ring for 2012 and beyond. Tim Lane — A coach who certainly has been to the extremes of the coaching landscape. Was assistant to Rod Macqueen in the 1999 World Cup success, then coached in France, and then in almost all points between there and Sydney. Had a stint with the Springboks and the Cats in South Africa, spent time in Italy and was most recently the head coach of Georgia and secured their place in the World Cup. Has finally put the passport away and is coaching Manly in the Shute Shield. Rod Kafer — Another local product who is considered one of the best thinkers of the game and is currently a pundit for Fox Sports. He is believed to be one of the brains behind the Brumbies’ successes in the early years. Has dipped his toe into coaching in Europe at Saracens (with limited success) in the past — but has gone on record to rule himself out of the running. Brumby Jack — One who would bleed for the Brumbies (the Reds game is an excellent example), but would need to get himself out a hole before trying to do the same with the Brumbies. 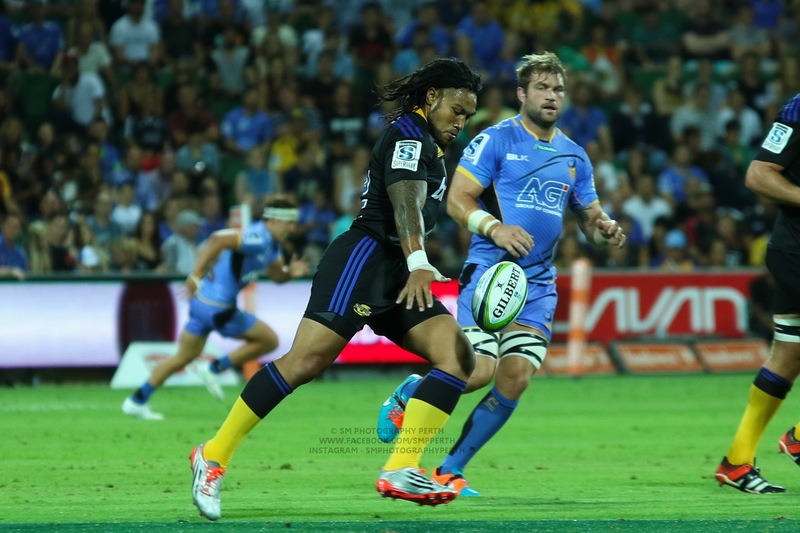 Communication skills would need to improve to be considered part of the Brumbies stable. Upon being asked if he was a candidate, replied with ‘neigh’. Others — Don’t be surprised if names like Joe Roff, Marco Caputo and Justin Harrison are thrown about, but for the reasons stated earlier, no matter how much of a ‘Golden Child’ any of them might be, inexperience will be their biggest hurdle in getting the top job. I nominate Tony Melrose, bring him back from Connacht. Would that be Tony’s brother, Brian? Jake White would be a mistake. First and foremost he is a school-teacher and I do not think that AAC etc. would take kindly to being treated like a child. Looks like a full ‘Cup field’ of potential runners there, Brumby Jack. Michael Cheika or Tim Lane seem like handy contenders, but after a RWC year there may be more contract shufflings going around as well. Jake White is obviously a top coach, but you’d tend to think ‘neigh’ for him also since it’s hard to see them shelling out big bucks for him at the moment. What about a replacement for Fagan instead? Can we vote? Michael Cheika for me. Please Brumbies management. Show some faith, buy Australian. We need more Aussie options for WB coach. There are some great home grown options on that list. Jake White is a good coach for sure, but he would create a culture shock in Brumby land. Who knows how they would deal with that. Maybe that’s what tthey need, but somehow I don’t see him succeeding there. Stephen Larkham was a wonderful player and one of my all time favourites, but it is very rare for someone to go from being a topline player to a topline coach. It just does not happen that often. Coaching demands a completely different skill set from playing. Yes, you do have to know something about the game, but you have to know something more than that about how players tick in a multitude of different situations and you can’t learn that by being a top player. Before the Brumbies board select a new coach they really need to ensure that the player group are going to conform to what the coach wants. My vote would go for Tony Louden. He can obviously get results from teams and he’s not so high profile that there is a negative premature player reaction against him before he even starts. I think they need to get Link down there… The poison challis used to be the coaching job at the Tahs and he sorted them out (ok he did have a bit of help from Bob Dwyer first) and toughened them up. Then the Reds coaching job used to go to the bloke holding the short straw and he seems to have turned them around. I think Jake White would be a mistake just from a cultural POV. And I think Cheika has too much to offer Australian rugby to want a job like Brumbies coach so I hope he doesn’t take it. I need to use this forum to make a confession, the only thing I like seeing more than the Brumbies lose is to see them get flogged. I was a pretty happy little camper the other night. Duncher, It won’t let me give you more than one thumbs, So consider all 10 of my fingers as thumbs up. The only thing that would be better than seeing the Brumbies getting flogged is for them to be getting flogged by the Reds. It would be ridiculous to not appoint Cheika if he is willing. Have to agree, Chieka’s the man, strong links with Hoiles, Elsom, Phibbs etc through Randwick, done it all already in Europe plus won premierships with Randwick so knows the local scene. Todd Louden is a great coach too, surely his time will come to step up? He’s better than coaching Sydney Uni and should be in the S15 mix somewhere. Keep fostering the Australian coaches! Watch Fast Eddie swoop down from Japan, to return the Brumbies to their glory days. I must say I always thought he was a good Australian coach, even though the results were poor during his period in charge. The counter argument is that a South African school-teacher who is distanced from the players is beneficial. It is arguable that the coach being too close to the players is a factor in the revolts and lack of a common direction. But I am no expert in the Gen Y mindset. Would the players have any choice, at this time, but to do what he says? 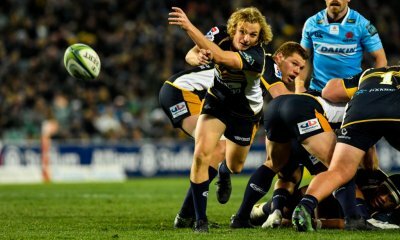 Jake could be good for the future of the Brumbies, and make the next coach’s job that much easier, but….would the Brumbies be good for Jake’s future? That’s the question he would be asking himself. I’ve a feeling the Brumbies need is not what the Brumbies want, if you follow my drift. I just hope they sort themselves asap. I think Jake is their Nanny McPhee. But sure as the sun rises the petulant little kids will chuck their toys out of the cot before submitting. And the “kids” also includes the current WB Captain and a couple of sub-coaches I would say. So whilst Jake is what they sorely need, I think they will continue their in-bred ways and therefore tip it will be Checkers who gets the gig given snorters, Randwick and overseas love-in connections. Spiro nailed the problem in the SMH today – http://tinyurl.com/4r9p3mz. Basically while the loonies are running the asylum the hard decisions about non-performers can’t be made. A complete culture change required. Until that happens it probably doesn’t matter who coaches the side. The brumbies could solve their current problems by playing Bernie rather than having him as a coach – I’m serious. Good analysis of the likely contenders BJ. Obviously money will come into the equation for a new coach and the Brumbies need to improve for the rest of the 2011 season if they are to have decent sponsorship next year. In a way they will determine their own destiny. Now…. if someone can just get them to see it that way. FWIW, Scrivener has withdrawn his application for the Edinburgh Head Coach job and is heading back to Oz.